The Experiment Co-Creation Platform (ECP) is a model for collaboration and experimenting dedicated in delivering sustainable solutions to wicked urban problems. It brings together cities, higher education institutions and non-academic collaborators such as companies and NGOs to develop research-based teams’ solutions through experimenting in a real-life setting. 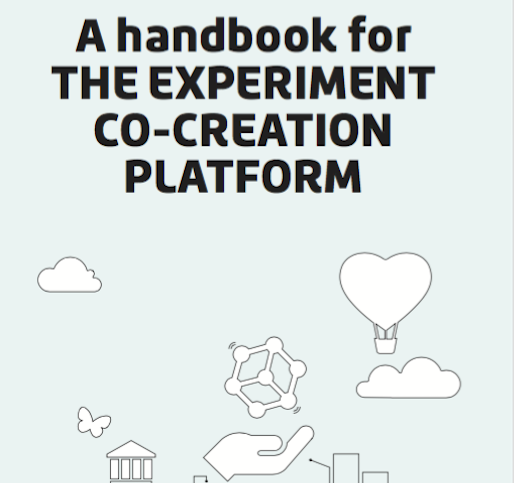 This handbook proposes a new model for collaboration – the ECP. The model is developed and prototyped by Demos Helsinki during the Try Out! – project in 2016-2018 and funded by 6Aika/EAKR. Download the handbook to find more about what the ECP is all about, how it can be carried out and why it’s needed. In this website, you will also find supportive tools and other material to be used e.g. in designing experiments and collaboration. The wicked problems of today, such as climate change, are complex and interdependent by nature. These problems affect us all and manifest themselves especially in cities where the majority of people live in. Great opportunities exist in finding solutions to these problems, but due to their magnitude, no actor alone can do that. We need solutions now and a key to discovering them is collaboration. The ECP is one model for such collaboration. In the model, cities, higher education institutions and non-academic collaborators such as companies and foundations together define a desirable shared vision to work towards to as well as identify the challenges preventing the vision from happening. Research-based teams develop their research and solutions to the identified challenges through experimenting in a real-life urban setting and support from experts of various fields. The goal is to increase teams’ technology readiness level (TRL) from TRL4 “technology validated in a lab” to TRL5 “technology validated in a relevant environment” and create a premise for feasible, scalable solutions that work in practice. The ECP bridges the gap between theoretical research and feasible solutions. It encourages multidisciplinary research and helps higher education institutions to strengthen their interaction with the rest of the society. Researchers are able to find new collaboration partners while cities that offer platforms for experimenting are able to expand the pool of innovators that tackle the urban problems. The platform opens up new funding channels for higher education institutions and promotes cities’ competitive advantage in solving urban challenges. Furthermore, the platform gives everybody an opportunity to gain more understanding of the challenge, increase their innovation skills and find new networks. Feasible solutions will not only benefit the teams but also the society as a whole. During the Try Out! – project both the teams and partners received some valuable lessons. Learn from our experiences in organizing innovation camps in here. If you want to advance experimenting culture in your organization, check out these 9 theses on how to do it (in Finnish). For startups, one of the constant struggles is finding funding. During the experiment design camp, Try Out! teams received insights from experts on what to take into account when securing funding. Read about the three suggestions that will help a team or a startup get funding.